photographer Anders Beier featured in UK magazine "Root and Bone"
Just want to keep you a little updated. While working on big future projects – I’ll have to keep you in the dark for a couple of months on that – Sune Rasborg and I just got featured in the UK magazine ROOT+BONE. Really high end and underground subculture foodmagazine based in London. 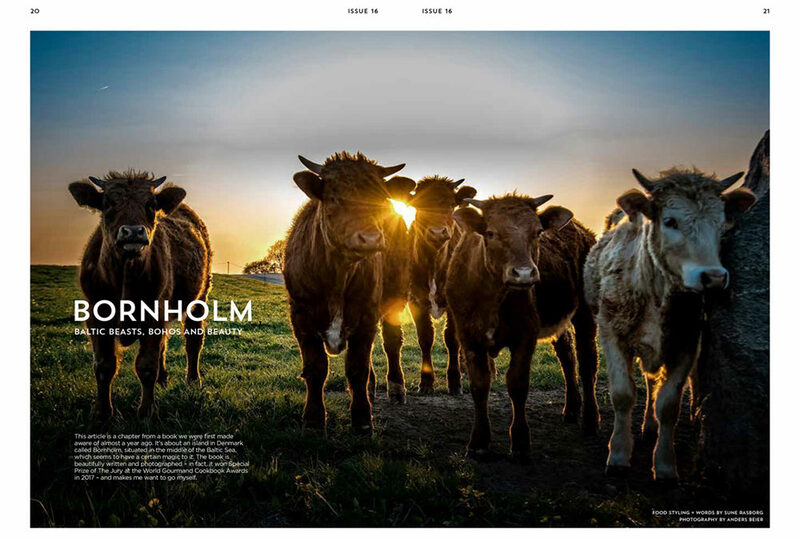 They love the Book – Bornholm – Baltic Beasts, Bohos, and Beauty. Get your copy here. For some reason Bornholm is just new and fresh, and really something else. A lot of us who lives on “jævla blossholmen” as my uncle from SWEDEN would express it. – we know, it is something else. New and fresh ? well, maybe the rest of the world just hasn’t noticed us before – but one thing is for sure – I just love it here, and wouldn’t trade it for anything.